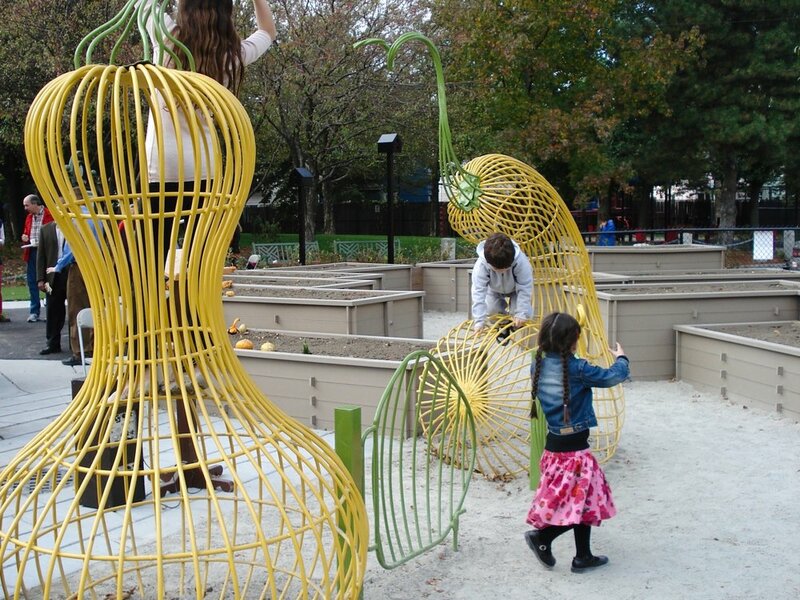 In response to the request for a gateway between the sitting and the community garden areas for the newly created addition to Costa Lopez Park, Bell created a trellis-gate structure. A gate becomes the context for passage signifying how we are to pass through its opening to the other side. The trellis gate becomes a growing marker acknowledging the transition from the public area of the park to the community gardens behind.